This project consisted of the concept development, design, fabrication and installation of a complete concrete outdoor kitchen for a private residence. 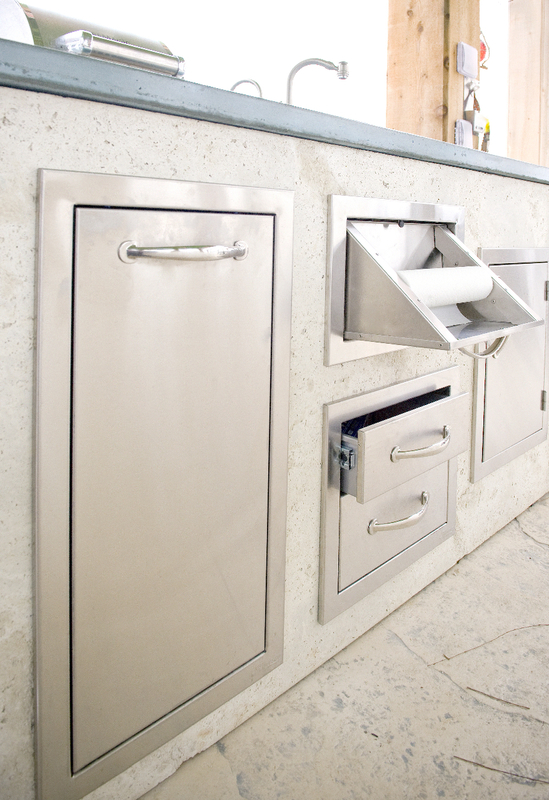 All the cabinets were fabricated out of decorative Glass Fiber Reinforced Concrete (GFRC) panels. Not only are they completely concrete and therefore insusceptible to rot, but their custom finish gives the natural appearance of large slabs of stone. 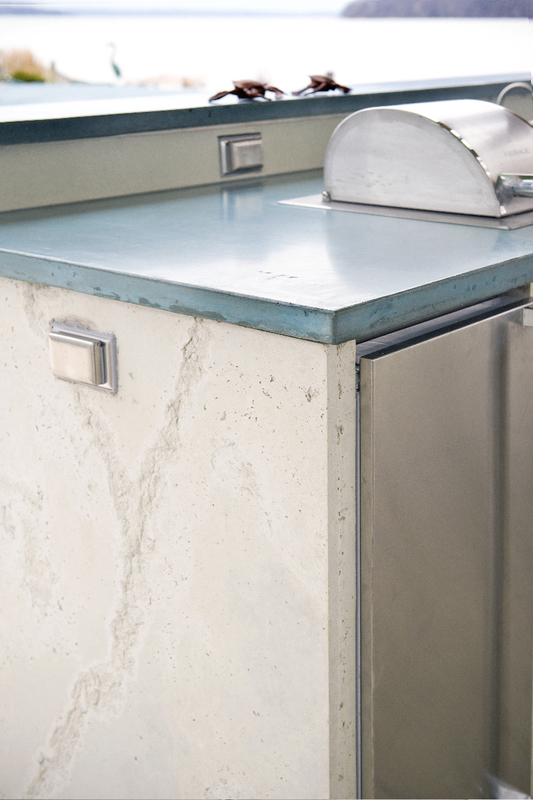 On top, we fabricated and installed custom concrete counter tops. In keeping with their Tiki hut theme, we embedded conch shells into one half of the upper bar concrete that were later ground down to expose their natural beauty. Another unique aspect of this type of construction is the fact that no footers are necessary as all the elements are relatively light. The installation of all the bases were done in one day and interior cabinet space was maximized as compared to traditional block construction.